click photo to enlarge Bodie California is a State Park. 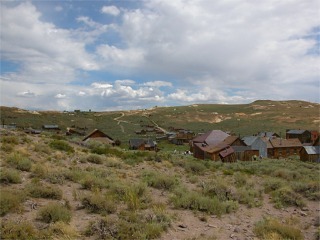 Bodie was founded in 1859 and grew to 10,000 people. As an example of how large Bodie was it had 65 saloons. click photo to enlarge Fires destroyed much of the town but there are still many buildings left to wander and look at. There are about 200 buildings still standing. The bell tower here is the Methodist church built in 1882. You can go inside this building. 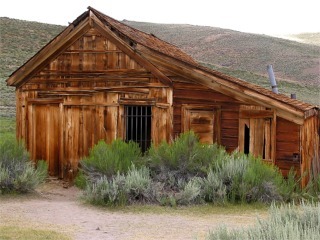 click photo to enlarge This is the Bodie Jail. Only one person is know to have escaped from here. click photo to enlarge This is the Swazey Hotel. Yup, this little building was a hotel. 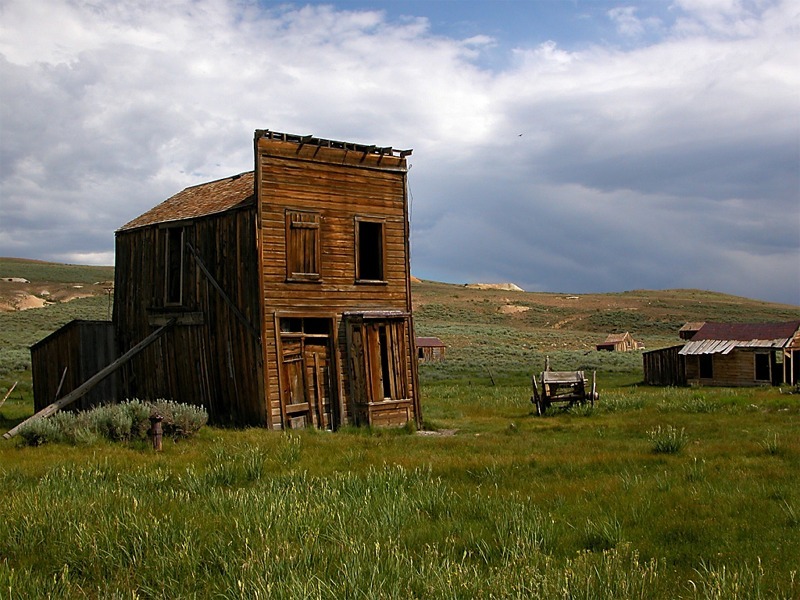 During different periods of time it also served as a clothing store and casino. 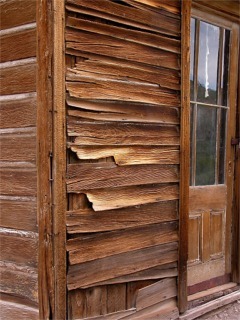 On the left is a large timber that serves to hold the building up these days. You can peer in the windows of most buildings and there is period furniture inside under a heavy layer of dust. 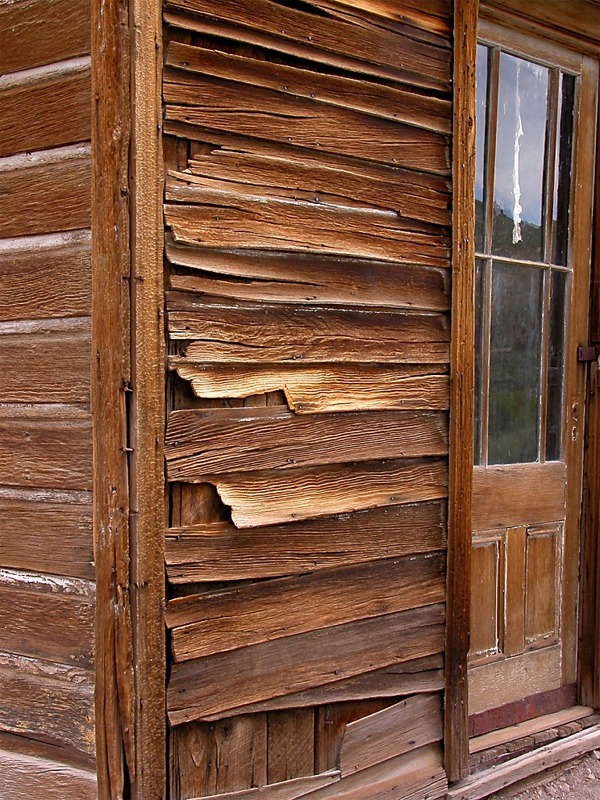 click photo to enlarge This close up gives you an idea of the state of the wood in the buildings. 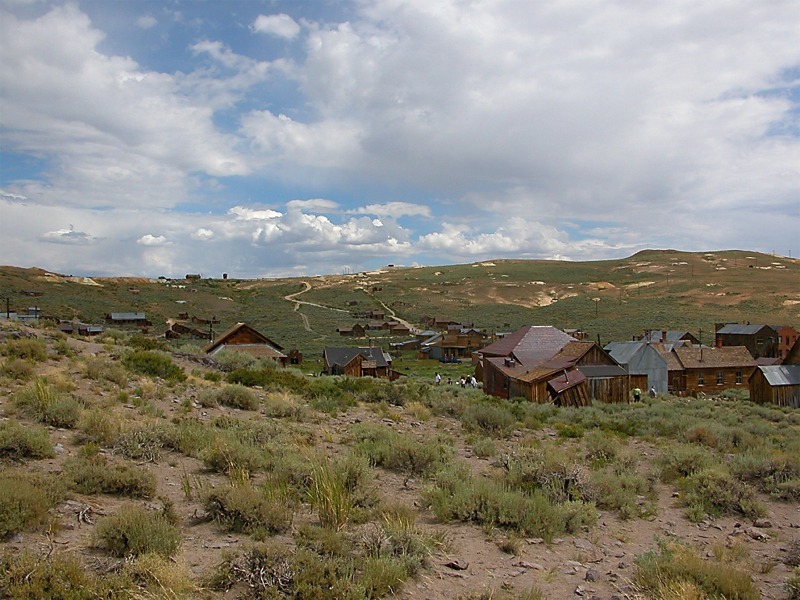 Bodie is at an elevation of about 8300 feet. Temperatures in the winter can hit 30 below 0. 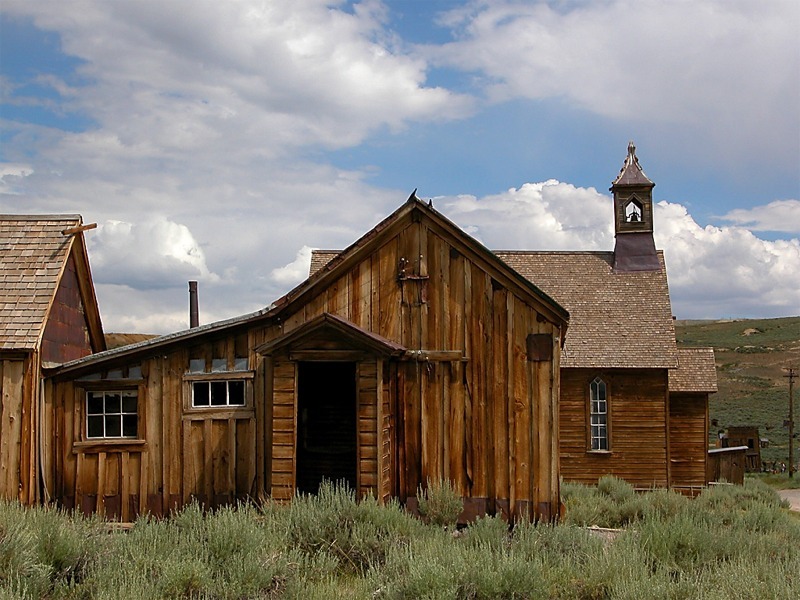 But gold fever and the lure of striking it rich can overcome a lot of hardship I guess.